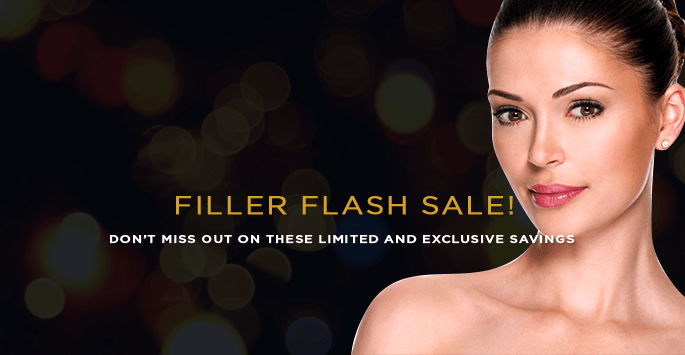 Home | Blog | Uncategorized | Filler Flash Sale! VOLUMA™ XC is an FDA approved filler that instantly restores volume to the cheek area. This new filler is an HA gel based product which is injected with a small needle into the face providing the patient with an instant youthful look. As we age, we lose volume in our face due to gravity and the loss of elasticity. VOLUMA™ offers a remedy to aging gracefully by restoring the lost volume. Patients who have received VOLUMA™ feel and look years younger while maintaining a natural look. Juvederm is made of hyaluronic acid. Your body naturally produces hyaluronic acid. It helps your skin look plump and youthful. As you age, your body produces less hyaluronic acid. Your body breaks down the hyaluronic acid in your skin faster than you can replace it. At that point, wrinkles appear and your skin loses volume. Juvederm replaces the hyaluronic acid that your body has lost.